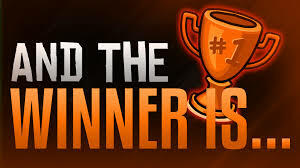 Categories: GREAT PREACHERS OF THE PAST | Tags: bible prophecy, Consecration of Children to God, Consecration verses Baptism, Jesus Christ, Messiah, Simeon the Prophet | Permalink. But is anything too hard for the Lord? Is He still the same all-powerful God who created the universe, and engineered the miraculous workings of our own human bodies? Shouldn’t we trust His word more than the incredulous opinions of others? If you believe what cynical man has to say about divine healing you are certainly to be pitied. On the other hand, if you believe the Bible’s promises of a supernatural cure by a loving and compassionate God who can do exceeding abundantly above all we ask or think, you can be healed! Romans 10:17 tells us that faith comes from hearing, and hearing from the word of Christ. Stop putting your faith in man and unbelieving doctors. 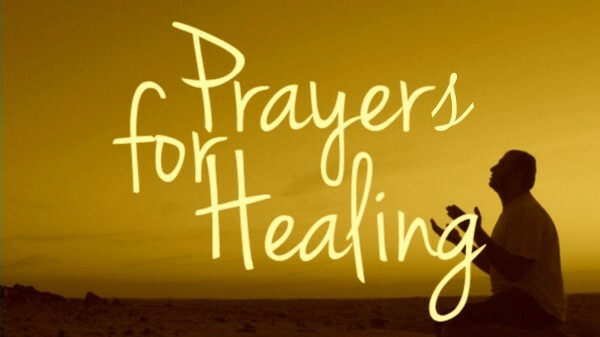 Instead, believe in God’s healing power – for your own healing, your friends, and your family. God will never let you down if you put your trust in Him. 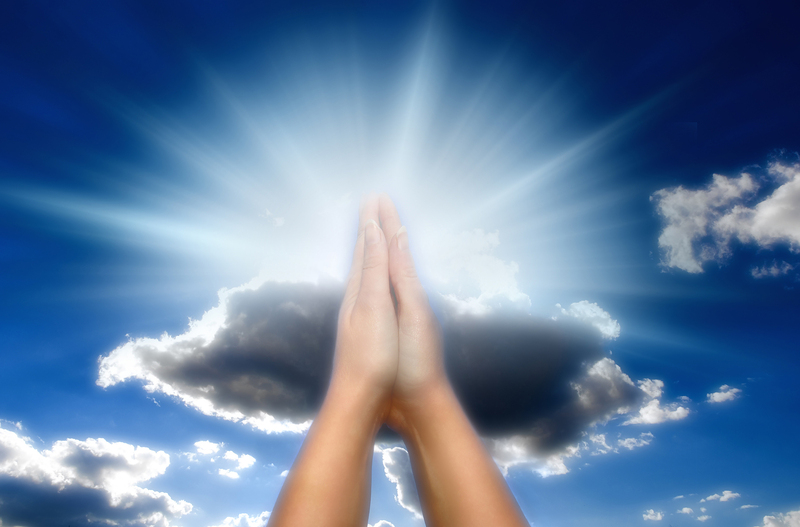 Below are some healing promises and affirmations that will encourage your faith. Read them every day, memorize them, and believe them with all your heart. SEND US your prayer requests too, and let us pray and believe God together. Categories: HEALTH, HEALING & FAITH | Tags: Affirmations, and Meditations, Encouragement In Sickness, Faith Scriptures, God's Healing Prayers | Permalink. 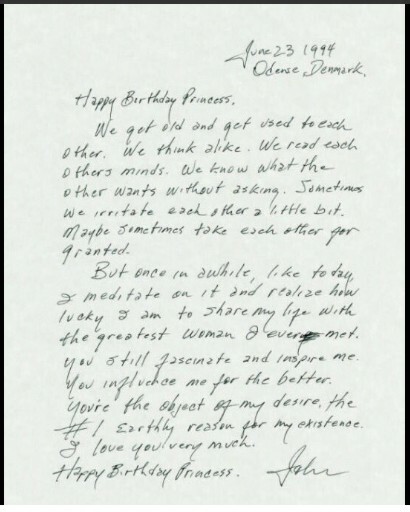 A letter Johnny Cash wrote to June Carter Cash in 1994 was voted the greatest love letter of all time. They were married from 1968 until June passed away in 2003. Johnny died 4 months later. But once in a while, like today, I meditate on it and I realize how lucky I am to share my life with the greatest woman I ever met. You still fascinate and inspire me. You influence me for the better. You’re the object of my desire, the #1 earthly reason for my existence. I love you very much. Happy birthday, princess. 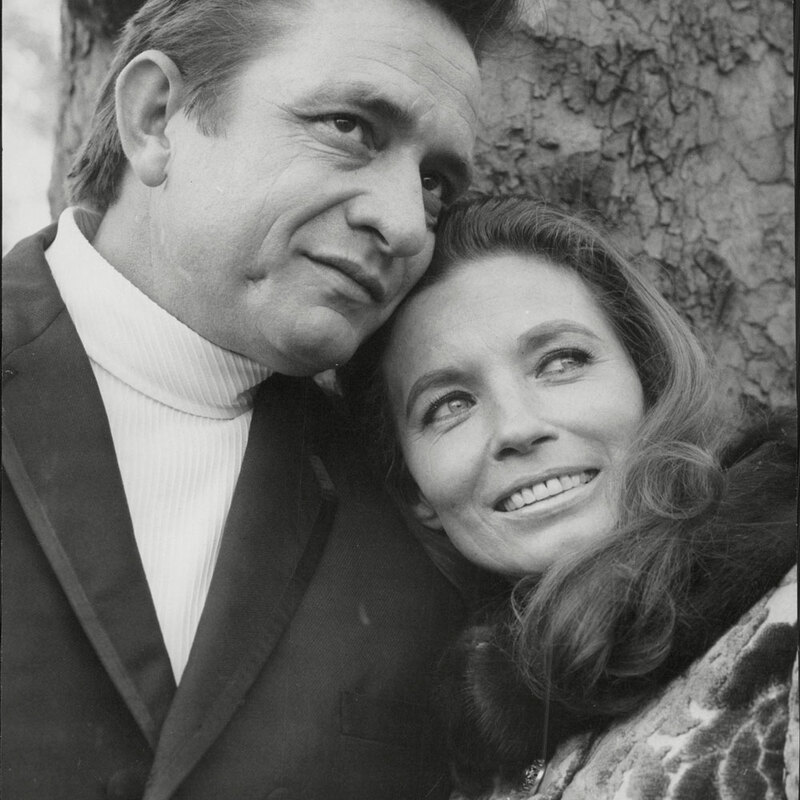 Categories: HOLIDAYS | Tags: Johnny Cash, June Carter Cash, Love Letter, Valentines Day | Permalink. – Hudson Taylor (1832-1905). First Christian missionary to the interior of China. 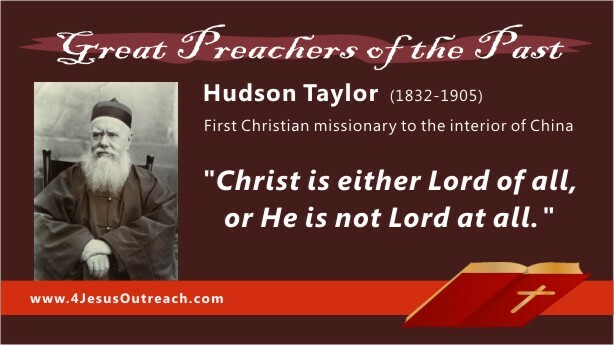 Categories: GREAT PREACHERS OF THE PAST | Tags: Biography, China Missionary, Christian Quotes, GREAT PREACHERS OF THE PAST, Hudson Taylor | Permalink. In the video below, actor and preacher, Doug Whitley*, portrays George Müller (1805 -1898). 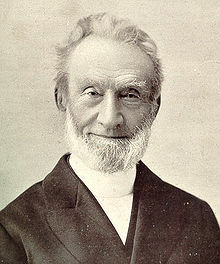 Before he received Jesus Christ who transformed his life, George Müller was a drunkard, a cheat and a most sinful man. God took him from the beer halls to the honored halls of men of great faith. Without a penny, he was able to build one of the largest and most successful childrens orphanages in Bristol, England. Categories: GREAT PREACHERS OF THE PAST, TESTIMONIES OF FAITH | Tags: Caring for Orphans, George Müller, George Meuller, Great Men of Christian Faith, Testimonies | Permalink. Free the Pulpits of America Up Again! Since the beginning of this great nation, Americans have been committed to the First Amendment right to freedom of speech and religion. It requires that our government respect every individual’s legal right to practice their religious beliefs, speak freely of their moral convictions, operate schools and colleges, and live peacefully with others without government interference. For over 60 years, however, the Johnson Amendment has been prohibiting free speech in our churches. Many pastors and other religious leaders have been afraid to speak biblical truth from their pulpits for fear of harassment and punishment by the government who can take away their 501(c)(3) tax exempt status. In recent years the Alliance Defending Freedom (http://www.adflegal.org/) has attempted to challenge the Johnson Amendment through the Pulpit Freedom Initiative, which urges church ministers to violate the statute in protest. The ADF contends that the amendment violates First Amendment rights. During his 2016 presidential campaign, Donald Trump called for the repeal of the amendment. At the National Prayer Breakfast on February 2, 2017, President Trump, vowed to “totally destroy” the Johnson Amendment. Please pray that the Free Speech Fairness Act will be approved, and the Johnson Amendment will eventually be overturned. Pray that pastors and other religious leaders will no longer be intimidated or harassed by the IRS for preaching political matters and be able to speak freely of biblical issues deemed “off limits” by the government. For almost the first 200 years in America, pastors spoke freely and boldly from their pulpit about the issues of the day, including candidates running for office. But in 1954, the passage of one piece of legislation effectively overturned this freedom: The Johnson Amendment. A pastor’s pulpit should be accountable to God alone, and the future of religious freedom in America depends on it. 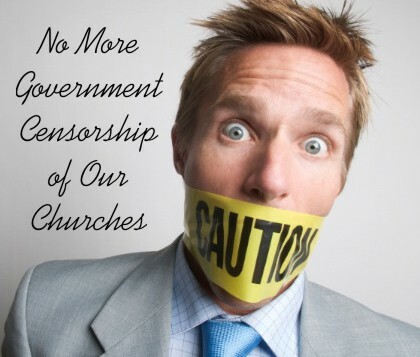 The good of our society depends upon the ability of churches to speak freely. When the church is silent, the culture suffers. Categories: FAITH & LEGAL MATTERS | Tags: Churches, Free Speech Fairness Act, Johnson Amendment, Pulpit Freedom Movement, Religious Freedom, Speech Police, Sunday | Permalink.